Cleveland Clinic Laboratories (CCL) is a full-service, national reference laboratory dedicated to providing world-class care for over 25 years. Today, our staff of more than 100 board-certified anatomic and clinical pathologists paired with more than 1,100 medical technologists and laboratory technicians provide crucial pathology and laboratory testing services to clients around the corner, throughout the country, and around the world. 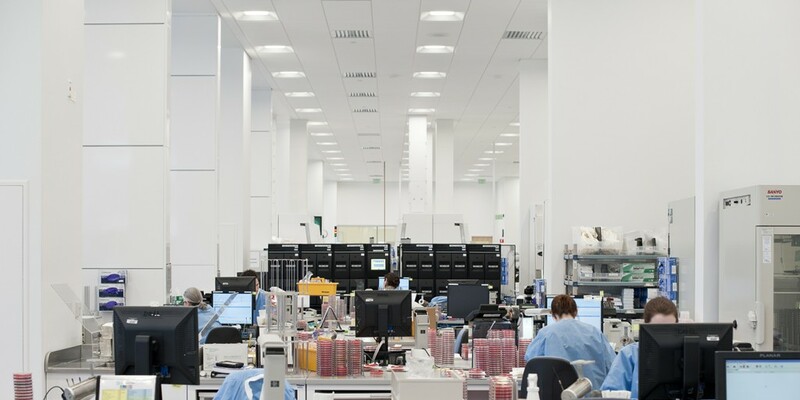 Through the application of leading-edge technology, Cleveland Clinic Laboratories prides itself on providing rapid turnaround time, affordable testing, and superior customer service. Our facilities operate 24 hours a day, seven days a week —including holidays— to fully meet our clients’ needs. 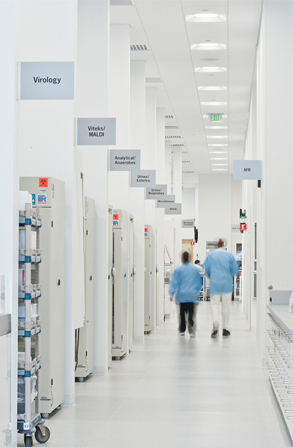 Our specialized laboratories provide expertise in anatomic, clinical, and molecular pathology. We also offer centers of excellence in coagulation, cytogenetics, hematopathology, and biochemistry. Our fully subspecialized model of pathology practice ensures the expertise to drive continuous excellence and clinical relevance in these labs. Cleveland Clinic Laboratories’ surgical pathologists practice in a full subspecialty model with expertise in all subspecialties within anatomic pathology. Our staff employ leading laboratory technologies —including electron microscopy, one of the largest IHC menus in the country, and ePathology— to help make accurate diagnoses and communicate them with clinicians. and subspecialty consultations that are the basis for effective patient care. Experience the difference with Cleveland Clinic Laboratories. Cleveland Clinic Laboratories contributes to excellent patient care by providing comprehensive, high-quality laboratory testing and patient-focused expert consultation. This mission is supported by innovative research and new test development, exceptional customer service, continuous quality improvement, and leadership in education. Our laboratories will provide the highest quality laboratory testing and expert pathology diagnosis to patients institutionally, regionally, nationally, and internationally. We provide comprehensive and high-quality pathology interpretations and laboratory testing in a patient-responsive manner. To ensure the best patient care, our subspecialty experts are available for direct consultation with clinicians about the patient diagnoses that we provide. We are continuously evaluating and implementing the best practices in laboratory testing across the testing spectrum. We believe that our staff is our most valuable resource, and ensure that they are supported and recognized for their accomplishments. A continual focus on new test development is important to provide the best capabilities for patient diagnosis. We believe that research and its resulting innovations provide the foundations for the future of patient care, while education helps to ensure that present and future patients will be well cared for.